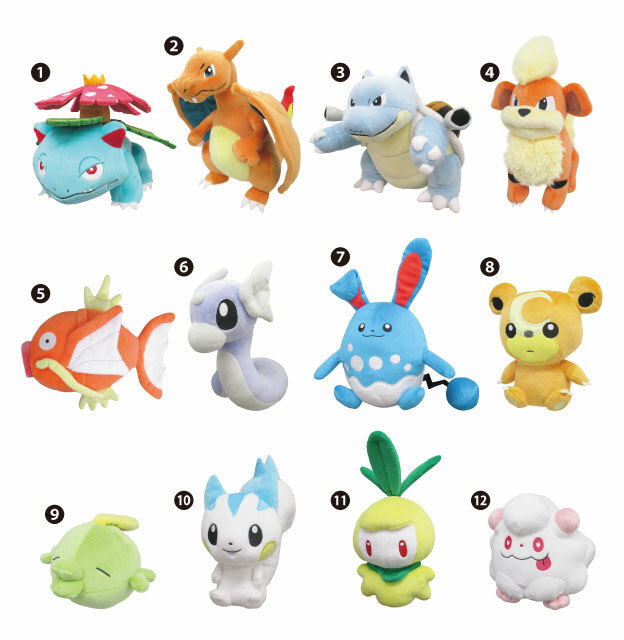 Japanese plush maker Sanei Boeki has released the 8th series of Pokemon All-Star Collection plush dolls in Japan. 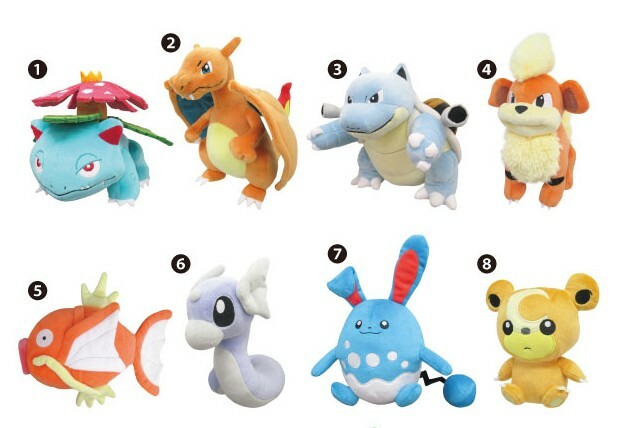 There are 12 standard size plushies featuring popular Pokemon such as Charizard and Magikarp, and not so popular ones such as Swirlix and Petilil. All 12 can now be imported from Amazon Japan through the links below (ships worldwide).